Add a few drops of TRIND Thinner to thickened nail polish. Shake well and wait a few minutes before applying the nail polish. Repeat as needed until desired consistency is achieved. Keep bottle tightly closed. 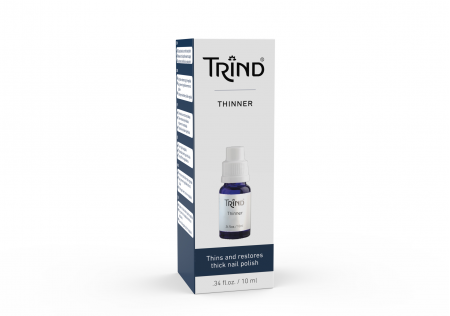 Never use TRIND Nail Polish Remover to dilute your nail polish, this alters the quality of your nail polish.